As of the end of February 2012 Windows Server 8 Beta is available for download. 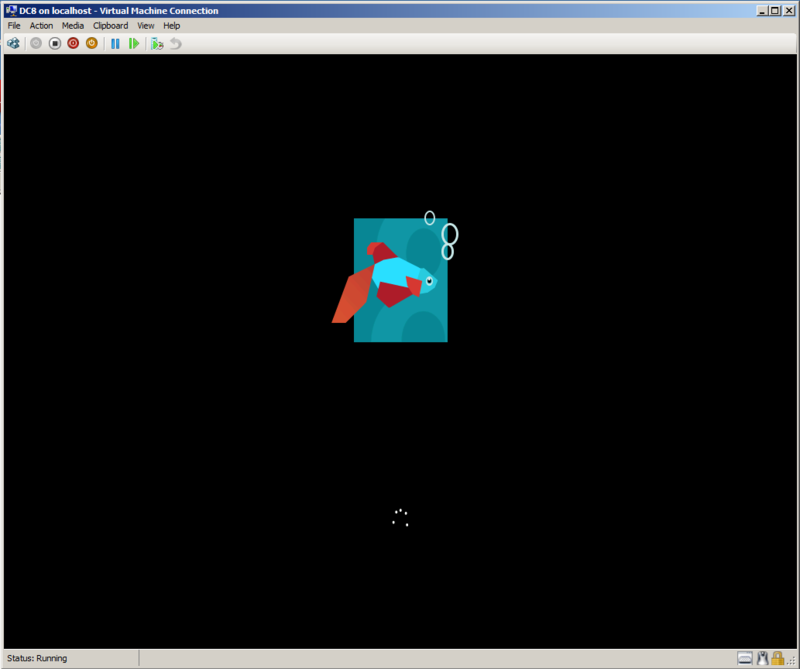 To get a first impression I installed it on my Hyper-V test environment. The actual system requiremens vary dependent on system configuration and applications and features chosen. Processor performance is dependent on clock frequency, number of cores and size of processor cache. Disk space requirements may vary. I am running my test installation on Windows Server 2008 R2 Hyper-V, so I added the iso file as installation media and started the VM. After this funny start screen the usual pages showed up: language preferences, selection of GUI or Core, license terms, installation drive and so on. The procedure is the same as it was with Windows Server 2008. Except for one little difference. As of Windows Server 8 the core installation option is the preferred one. 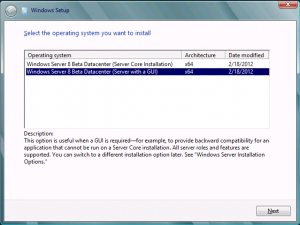 There were rumors in 2011 that Windows Server 8 should come only with the core option. As we can see on the next screenshot the GUI option is still included. With full functionality but the intention to mainly provide backward compatibility for old applications. The core option is now declared as recommended option. It is told that Windows Server Core is a scaled-down edition of the Windows operating system and requires 50 to 60 percent fewer reboots in the course of server patching. 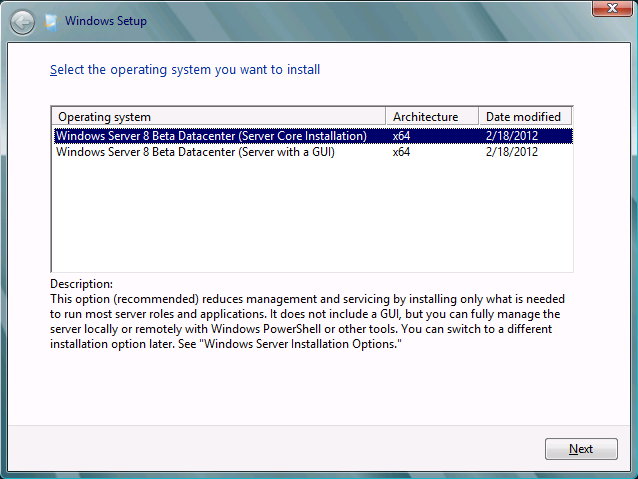 Further the installation of SQL Server 2012 on Windows Server Core is supported now. 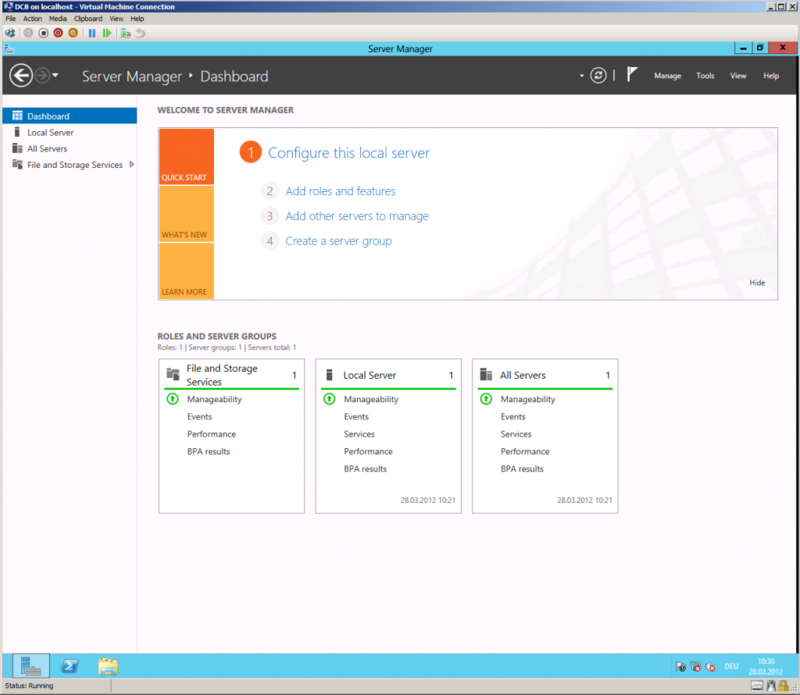 The benefits expected are greater SQL Server uptime and increased security. 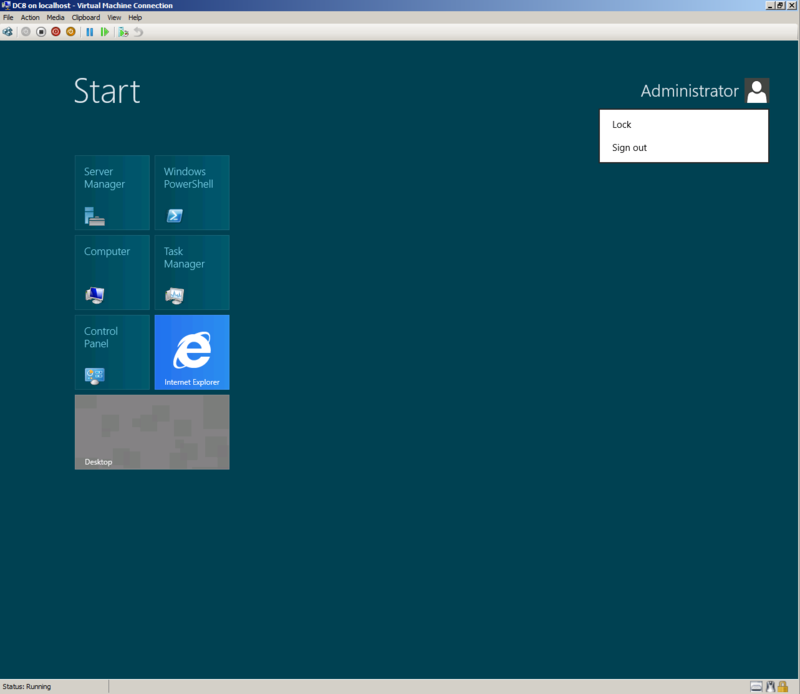 The next screenshot shows the Windows Server 8 (GUI option) dashboard. 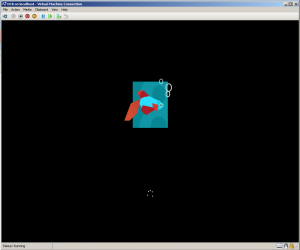 And this is a screenshot of the metro style startpage with the administrator menu.